A key factor in the growth of wearables will be how successful vendors are in making their products appealing to consumers, IDC said. 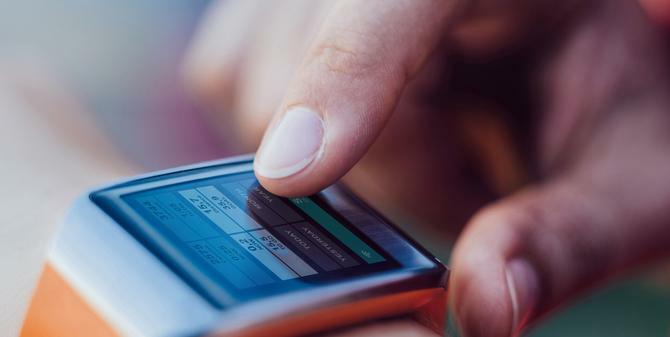 All types of wearables, including smart watches, smart clothing, footwear and eyewear, saw a 171% increase in shipments in 2015, reaching a total of 78 million devices, IDC recently reported. That triple-digit growth shows interest from customers and vendors alike, IDC said. "Wearables are not just for technophiles and early adopters," said IDC analyst Ramon Llamas in a statement. However, wearables still haven't fully penetrated the mass market. "There is still plenty of room for growth," he said. A major part of that growth will depend on whether wearables vendors can make their products more stylish, IDC said. An IDC survey released this week of 1,500 U.S. consumers who intend to buy a wearable device on the next six months showed that vendors need to put a major focus on aesthetics rather than just technical features. So far, even Apple's first attempt to add style to the smartwatch hasn't been a major draw. Apple Watch, introduced in April last year, was expected to ship 30 million to 40 million units in 2015, according to some analysts. But it only reached 11.6 million for 2015, according to IDC, well below the 21 million the research firm projected earlier in 2015. Also, Samsung admitted at the CES in January that its smartwatches hadn't done as well as expected. The South Korean company introduced fashion-focused platinum and rose gold-plated Gear S2 Classic smartwatches running on Tizen at the electronics show. Llamas and other analysts have said that while the Apple Watch might be at the top among all types of wearables, it could take two or more generations of products to capture mass appeal. Fitbit led the market for fitness bands and smartwatches in 2015, with 21 million devices shipped, IDC said. Fitbit makes the Blaze smartwatch as well as a fashion-oriented wristband, the Alta, but has mainly been known for fitness tracking. It also supports a corporate wellness program where some companies offer employees free Fitbit devices, in an attempt to improve employee fitness and lower health insurance costs. Xiaomi came in second in 2015 with 12 million wearable devices shipped, IDC said. The company offers an $11 Mi Band for fitness and a $13 Mi Band Pulse with constant heart monitoring. Apple Watch put Apple in third position for wearable shipments in 2015 at 11.6 million units, IDC said. The next-generation Apple Watch could be announced in March and IDC has higher expectations for its success. 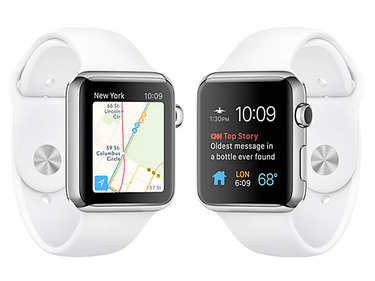 Various reports have predicted the new Apple Watch will have improvements to the watch band and processor. Garmin finished fourth for all of 2015, just barely ahead of Samsung, with 3.3 million wearables shipped compared to 3.1 million, respectively. Garmin recently announced Varia Vision, an augmented reality display to mount to sunglasses used by cyclists. At MWC, Garmin announced Vivoactive HR, a smartwatch with heart rate monitoring, GPS and other functions. Despite plenty of demonstrations of virtual reality gear from Samsung, LG and other vendors at Mobile World Congress in Barcelona last week, there seemed to be a shortage of major wearables announcements. Also at MWC, Epson announced third-generation Moverio smart glasses for augmented reality that place a premium on good looks. The new BT-300 is 20% lighter than the previous BT-200 version and is powered by a quad-core Intel Atom X5 processor as well as Android 5.1, which enables 3D rendering. It has a 5-megapixel front camera and embedded sensors to precisely track locations of objects in the real world. While smart glasses, so far, are a small portion of the overall wearables market, IDC analyst Jitesh Ubrani said there will be immense growth in other form factors, such as clothing, footwear and eyewear, in coming years. He warned that such form factors will "arguably require even more fashion sense than watches and bands." IDC's survey found that Apple was the most popular brand for smartwatches and Nike the most popular for wearable clothing. These consumers were categorized as tech savvy, highly social and extremely style conscious. The survey found that 71% agreed with the statement, "I believe wearables is the next big thing in technology." Also, 65% said they agreed that "wearables technology will positively impact daily life." Allan Fromen, vice president for IDC's Global Buyer Behavior Practice, said the survey showed that these so-called "wearable intenders" are "enthusiastic about wearables but have hesitated to actually purchase a device." Fromen said the survey findings show that vendors "have not yet cracked the code to deliver something that is both functional and fashionable. Companies clearly need to focus on the aesthetics of their product — perhaps more so than the features."